Home About Bands/Artists Video/Audio . Pontus Engborg was born in Sweden in 1980 and started playing drums at the age of 7. In the year 2000 Pontus moved to California to start his career in Los Angeles. Engborg started playing around the Los Angeles music scene at clubs such as Johnny Depp's Viper Room, Whiskey a go go, Knitting Factory, Key Club, The Baked Potato etc. He also recorded with numerous bands and artists. Pontus was able to record at some of the most wellknown studios in Hollywood, mainly as a demo drummer. After many years in the US Pontus moved back to his native country Sweden, but still to this day Pontus has a strong connection to California. Pontus and long time friend Dan Lindén started their band Confusion in 2007 together with Martin Olsson and Richard Hauer. Confusion writes their own music and also works for other artists. One band with two approaches. Confusion was a houseband at the Complete Vocal Institute (CVI) In Copenhagen, Denmark. The work was hard. Rehearsal, soundcheck and show were always on the same day with up to 35 different singers in one show. The style varied from rock to opera. Confusion had to be able to experiment with a variety of music styles over the years - both in the studio and in live performances. Their own music is Fusion. A mix between rock, jazz, funk and blues. Pontus and his best friend Louise "Lollo" Gardtman started Sunday Night Live in Gothenburg, Sweden together with Bas-Berra Holmgren, Dan Lindén, Martin Svanström and Per Strandberg. They play on Sunday nights whenever they can. Their sound is hard funk/soul and has had great guest-artists such as: Ole Borud, Paulo Mendonca, Emrik, Jim Jidhed, Wojtek Goral etc. Pontus has also toured with lebanese/swedish pop artist - Therése Neaimé. Together they performed around euorope with legendary band Simply Red in 2008. In 2010 Pontus was asked to join the legendary artist, “The Voice of Rock” - Glenn Hughes. Pontus first show with the band was held in Serbia on July 17th 2010. With no rehearsal or soundcheck and 21,000 people in the crowd the show was a success! 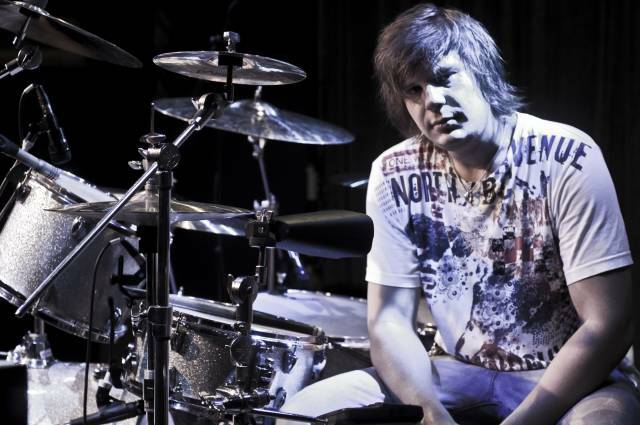 Glenn Hughes says: “Pontus Engborg is by far the best first gig drummer I have ever played with!” Pontus was since then turned into a permanent member of the band. Pontus frequently tours the world with the Glenn Hughes band. In late 2010 Pontus worked with friend and world known bass player Marco Mendoza. 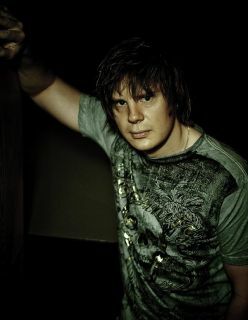 Pontus Engborg is involved with the funk/soul artist – Paulo Mendonca. Pontus has been a fan of Paulo’s work since he was 16 years old. In the begining of 2012 they entered the studio to record Paulo´s 4'th album together with drummer Per Lindvall. Engborg is now working with Paulo Mendonca and shows around the world will follow. Engborg's newest act is Legends - Voices of rock. Since the start earlier this year Legends have done a highly succesful tour both in Japan and Sweden. In november 2012 the succesful tour will continue in Mexico. 2013 will be a big touring year for Legends and more heavy names will join in on the act for tours around the world. More info at the Bands & Artist link. Pontus always tries to keep an open mind and is therefore working as an independent drummer for other artists and projects whenever he can.